Last weekend we went to Brussels. I'm still sort of in awe of the fact that I can do this sort of thing. Two and a half hours on the train and I'm in another country, with lots of interesting things to see. 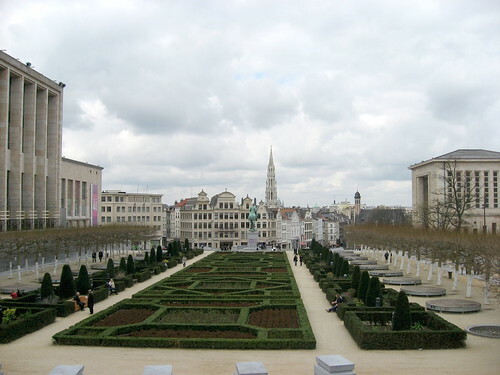 Brussels was a strange mix of touristy and neglected. 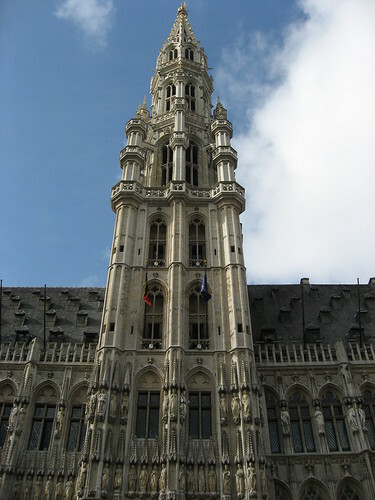 The Grand-Place is a UNESCO World Heritage site and is utterly beautiful. Really, my pictures don't convey it exactly because the stunning part was being completely surrounded by these old, ornate buildings. 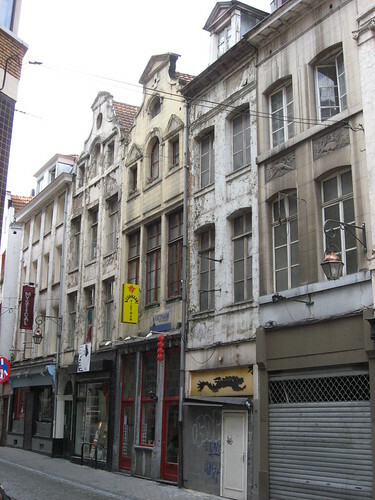 But then, walk down one of the winding streets that leads off of it and you almost immediately see very rundown, seedy buildings. Another example is the formal garden next to the Bibliothèque Nationale, which had litter absolutely everywhere and bright pink tagging spray-painted on the statue of King Albert I. We also found the tourist information and maps terribly lacking. The train station had a completely useless information person who didn't even have a proper map, and didn't appear to be there at all on Saturday. We couldn't find any maps or tourist brochure stands in the station either. 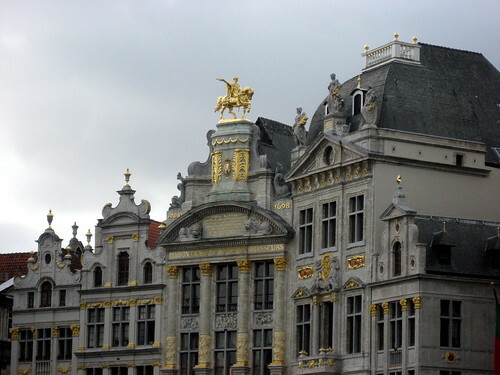 The tourist information place in the Grand-Place is either seasonal or very well hidden. The little business association tourist booklet that was available free in hotels and restaurants had maps that indicated tiny areas and one that showed the names of neighbourhoods, but nothing that was the least bit helpful for walking around the old city and finding anything. 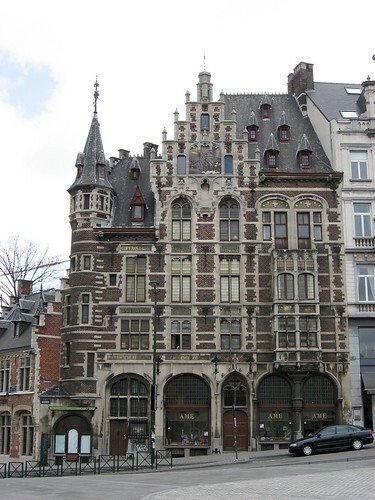 We found the Grand-Place by going to find a bakery for breakfast and then saying "oh that looks neat over there!" and wandering over. Now, that's part of the fun to some extent, but when looking for the Belgian Comic Strip Museum we really did need a map with street names! We did try asking a couple shopkeepers but either they'd never heard of it, or they gave us dodgy directions that we later learned had a creative estimate of distance. In the end, we went to the main tourist information office, the BIP, which is not exactly obvious either. When you walk in the building with the big "i" on the planter out front, the first desk is NOT the tourist information desk. You go through a door at the side, through what currently looks like some sort of urban planning exhibit, and at the back of the room there is a desk. The ladies there were very friendly and helpful and had an excellent map for us, but seriously, this should not have been so complicated to get! I think some of our surprise at this is that it was in contrast to our experience in Amsterdam where the free map in the hotel was completely sufficient for walking around the city. Note that we do speak French, so I can only imagine how much more frustrating this would be for someone who didn't speak French or Dutch. 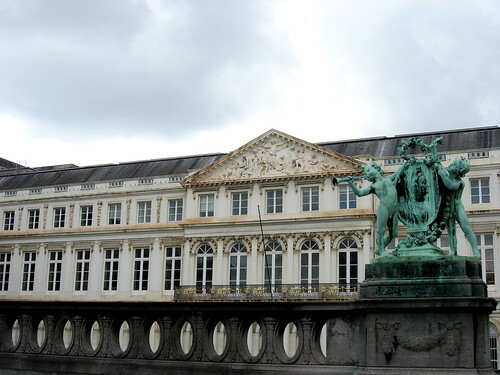 In fact, visiting Belgium made me feel a lot better about my level of French. In Montreal, I always noticed how much I struggled since so many were completely bilingual. But as compared to my useless amount of Dutch which I experience daily in Amsterdam (luckily most people also speak English), I felt so competent speaking French. It was nice to feel like I could express (albeit not necessarily elegantly) pretty much anything I wanted to. The tourist environment is also so different here (in Europe) as almost everyone speaks at least a little of some other language(s). It is much less "special" to speak a second language here, but the standards are also lower. Speaking just a little bit is okay, whereas in Montreal I always felt like I really should be fluent. 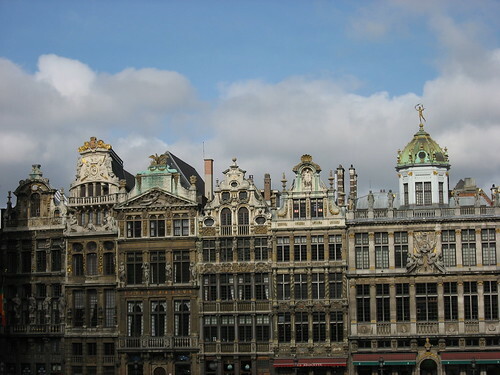 For more musings on the language experience in Brussels, my sweetie posted about it here. I still have to upload more of our pictures, so I'll talk about what we actually DID as opposed to how the visit made us FEEL in my next post. Wow! I was really surprised about your experience in Brussels. I have never been there but do know several people who were transferred there by their employers. 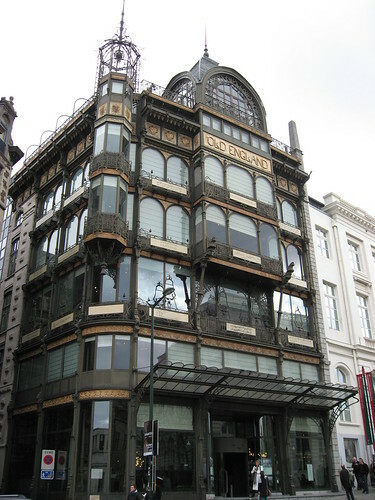 I had the preconceived notion that the city would be sophisticated, like other EU centres. Is it possible they don't cater at all to tourists until "the season" begins, later in May perhaps?